COLONY COLLAPSE is a poster commissioned by Mademoiselle Miele, a honey and chocolate producer in St. Paul, Minnesota. The forms refer to colony collapse disorder, or the phenomenon where worker bees gradually abandon their nests and their queens. When hives can't recover from this, it affects the bee population, which in turn affects agriculture as there are fewer opportunities for plants to cross pollinate without a natural vector. 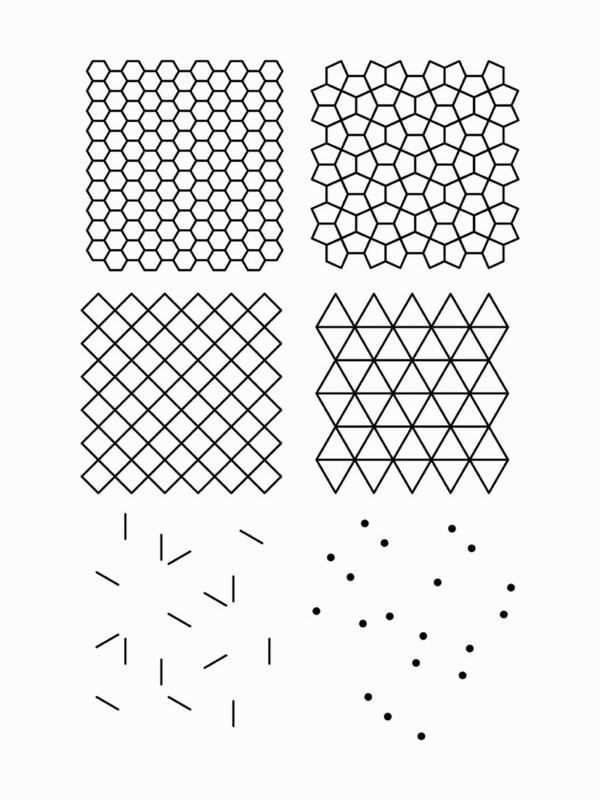 The forms in the poster refer to the structure of a honeycomb, in which with each iteration, the number of sides in each cell drops by one. Slowly, it disintegrates into a series of points, at which point ceases to become a place for bees. There is no clear, singular explanation of why colony collapse occurs.